When the Nintendo Switch first launched, the colors of the Joy-Cons available were either a grey, or a neon red or neon blue finish. But last month Nintendo announced a new neon yellow finish, and it looks like the company is continuing with its neon theme since they have unveiled new Joy-Con colors themed after Splatoon 2. It is nice to have more color choices for the console. 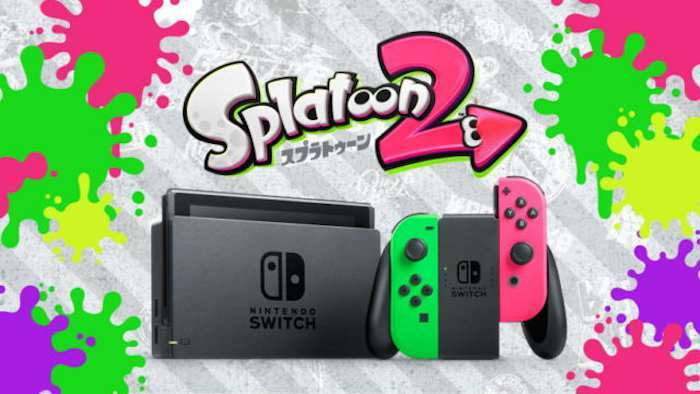 Nintendo will be launching a Splatoon 2 themed Nintendo Switch that will feature new Joy-Cons in neon green and neon pink colors. There will also be a similarly themed Pro controller where the bottom grips are also colored in neon green and pink. So now you have more choices, which is always good. The announcement of these Splatoon 2 themed accessories and bundles was made in Japan so we’re not sure if we are going to get them in other markets of the world as well, but we hope we get them. Splatoon 2 will launch on July 21st so these accessories will likely be launched around that time as well. Do you like these new colors? It seems like they will continue to launch more cool colors in the near future, so we will keep an eye open.